1. We should try to know about the candidate in terms of his works, vision, social background etc. Mostly rich but undeserved persons advanced in politics just because of their high approach and social power. He/she should be aware of the demands and required remedies of the society. 2. Preference should be given to right person rather than a political party. Conventional parties attract a mass because of their previous works. Sometimes it is seen that a wrong person get success in getting ticket from a well-known party. In this scenario, innocent people don't get success in utilizing their precious vote. This is totally injustice with the constitutional voting right. 3. We, humans, like to take decisions in hurry and with aggression. But, a leader must be cool, polite and debonair. Often, we get attracted with a speech, promising aggressive remedies. An aggressive leader may break down the peace and government. A suave and light hearted is assumed the perfect one. 4. This is not as easy as we think to vote a right person. Our preference should be for a highly educated person. But, many times it has seen that a person with the basic education but with high temper of thinking is also capable in handling the situation as compared to a educated one. So, we are in dilemma. I hope, this will surely improve your voting decision. 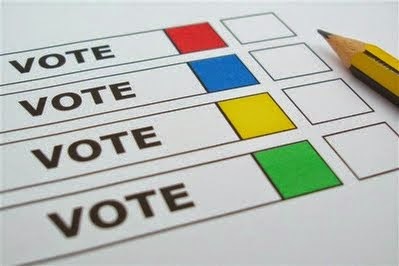 Most important, please do not let your precious vote waste. Voting is our constitutional right and we must utilize it and be a part of the economic improvement and growth. But in the past a right candidate has been driven to do wrong things by his party, especially in cases of coalitions.. Coalitions required to get wings, after all decisions matter for remedies.